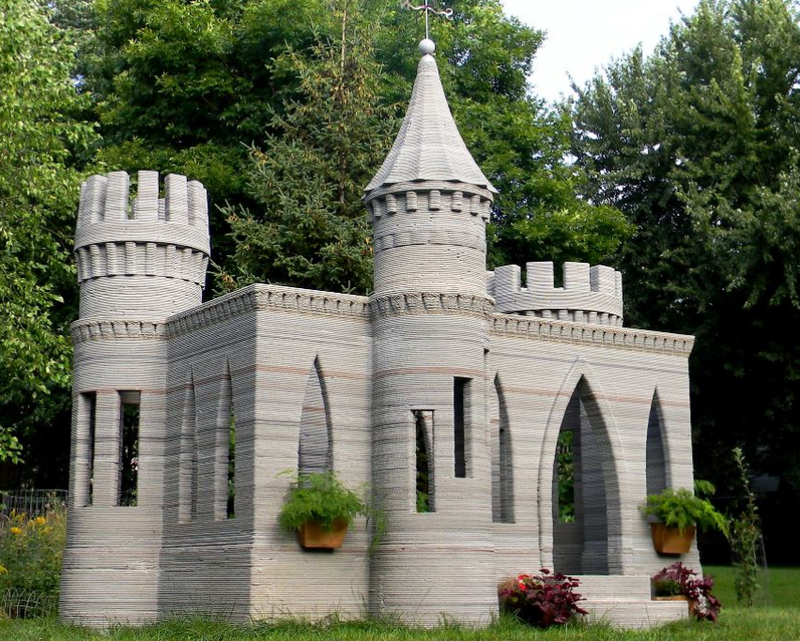 Minnesota architect and enginner Andrey Rudenko has put his homemade 3D cement printer to work in creating a life-size castle playground in his very own backyard! The project has been over two years in the works, with Rudenko posting regular updates on the status of his printer and the project on his YouTube channel. The castle, which features detailed inner architecture and separate rooms, was only the test for the printer, and now Rudenko wishes to begin working on a full-scale house with his concrete printer. While houses have been 3D-printed in less than a day in the past, these houses have simply been the outer walls, with no inner architecture. Hoping to change that with his own printer, Rudenko believes that 3D printing will help lower production costs and make a safer environment for construction workers in the field.